This is my latest endeavor. It is from a free lace pattern that I found online. 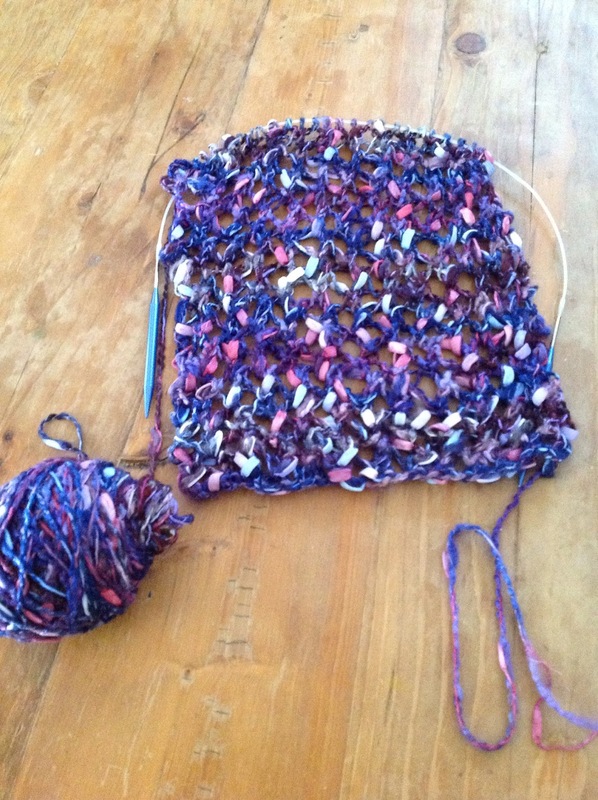 Although the yarn feels beautiful, it is a bit tricky to work with. It snags a lot. The yarn is by Aslantrends Fantasy Luxury yarn, it is called Litoral. If you use this yarn consider using circular needles.. 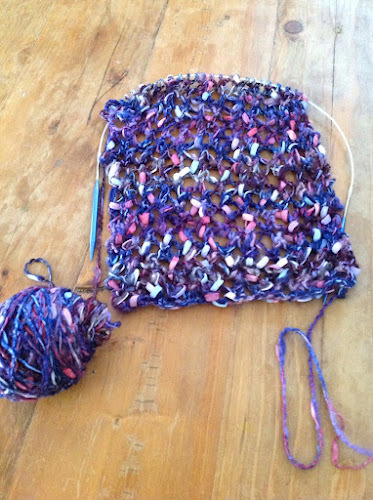 It is such a slippery yarn that on my attempt with large needles it went over big edge at the end of the needle. It is incredibly soft and drapes well.